The Barn has a full bar as well as cold craft beer on tap! Check out our calendar for future events! Located in the peaceful setting of historic Harpers Ferry, WV, The Barn sits in the tristate area of West Virginia, Virginia and Maryland; only one hour from D.C. and Baltimore metro regions. The Barn also hosts a variety of events including weddings, birthday parties, company outings, graduation parties. holiday celebrations and anything that involves making memories with your friends and family. We also host in-house events at The Barn, bringing together the local community! 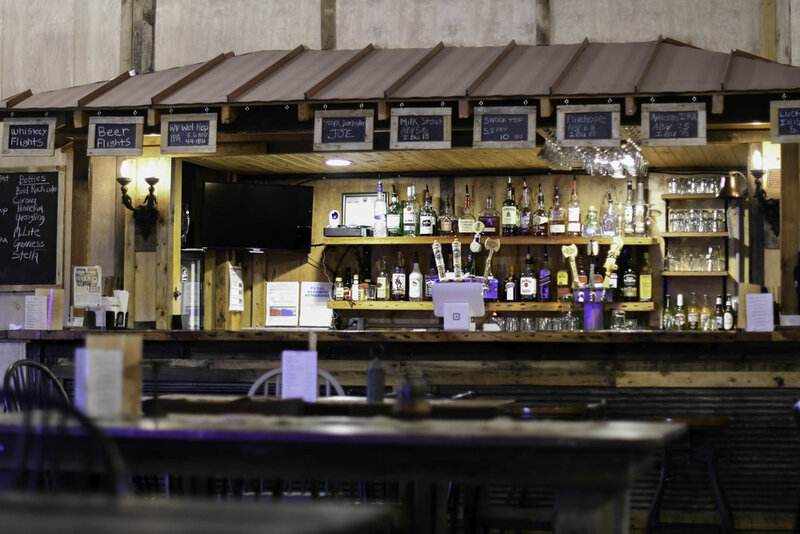 The Barn is a full service bar serving your favorite cocktails and local craft beer on tap! We're open from 4:00pm-11:00pm Thursday-Sunday unless we're booked for a private event. Come experience the only bar in Bolivar! Click on event calendar above for all the weekend wide special events.